At a Liberty Fund Colloquium in Petrópolis in Brazil, RNH Academic Director Hannes H. Gissurarson said that a free economy was purposeless, but not pointless. The point was not to maximise anything, but to bring about the spontaneous coordination of individuals pursuing different and often conflicting aims. American legal philosopher and judge Richard Posner maintained however that judges should aim at wealth maximisation in their decisions. Gissurarson said that this was sometimes relevant, but not always. He recalled the famous decision by King Salomon when two women put forward claims to the same baby. When Salomon had asked for a sword in order to cut the baby into two, he had not been seeking a mean: he had been testing which of the two women valued the child more. This was an example of wealth maximisation. If it would have been known which of the two women was really the mother, she would of course have been assigned the baby. A judge first had to ascertain existing rights and claims, and by default he could try to maximise wealth, transfer goods to those who valued them the most. One topic discussed at the Colloquium was accidents and the price of human lives. Gissurarson pointed out the enormous waste caused by airport security where passengers had to wait in line for half an hour or more, eight million people every day on average. If human lives could be priced, then it might pay greatly to reduce such security even if it meant that some lives would be lost in terrorist attacks. In a discussion on redistribution Gissurarson rejected the common idea that a dollar was worth more to a poor person than to a rich one so that total happiness or utility would increase by its transfer from the rich to the poor. Often, Gissurarson maintained, the rich was rich precisely because a dollar was worth more to him than to others. Many wealthy people were entrepreneurs who felt the need for all their dollars in new projects. 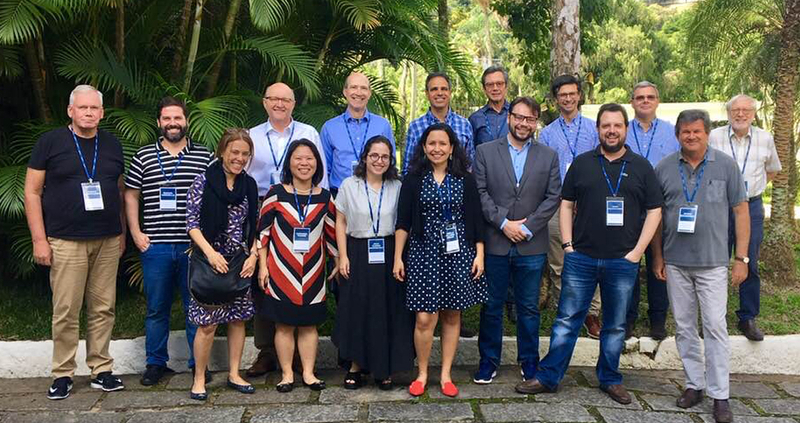 A lively discussion on many related topics took place at the Colloquium which was directed by Professor Eduardo Mayora from Guatemala on 11–14 April 2019. Participants in the Colloquium. Photo: Daniela Becker.